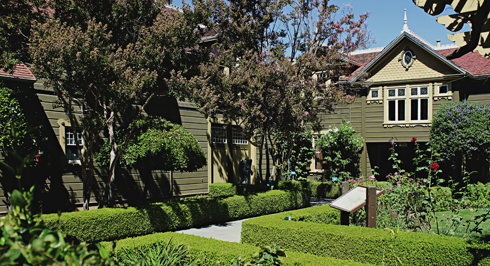 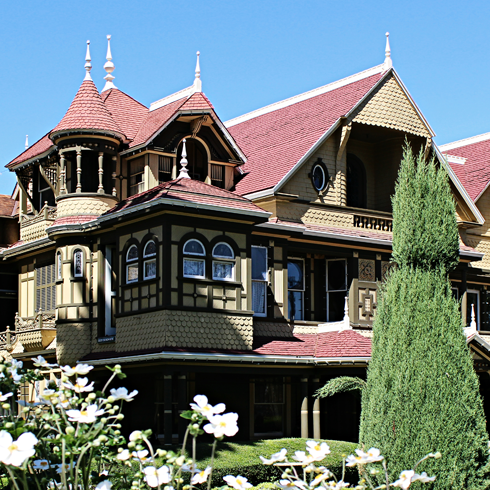 Located in San Jose, California, the Winchester Mystery House was once the home of Sarah Winchester, the widow of gun magnate William Wirt Winchester. 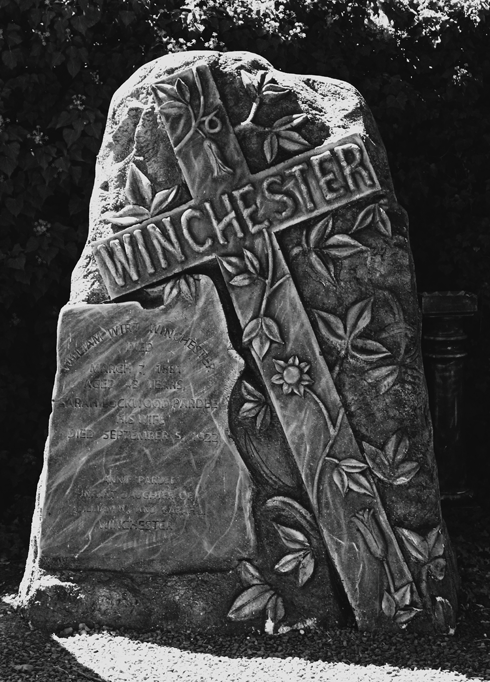 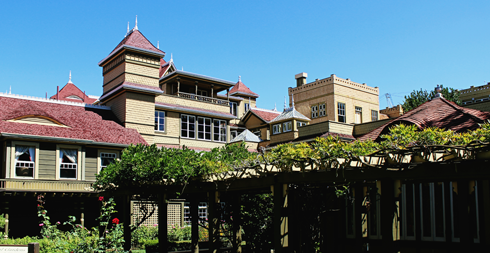 After his death in 1881, Sarah Winchester moved west and began construction of the property in 1884. 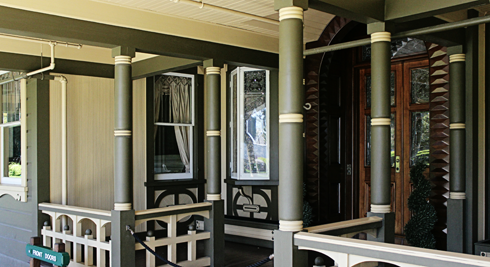 Expansion of the home continued for decades until her death in 1922. 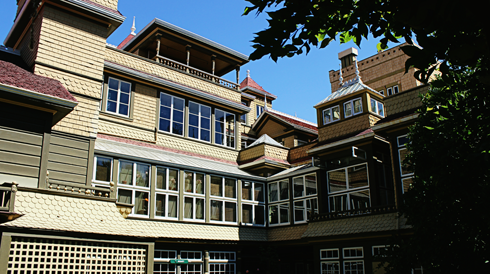 What makes the Winchester House so fascinating is wrapped up in Sarah Winchester's own paranoia and eccentricities. 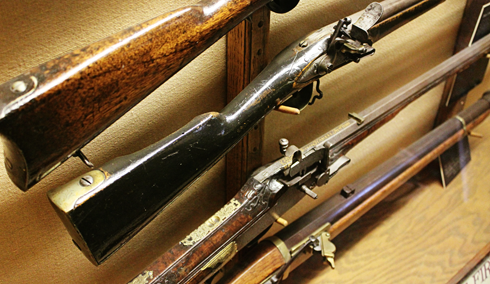 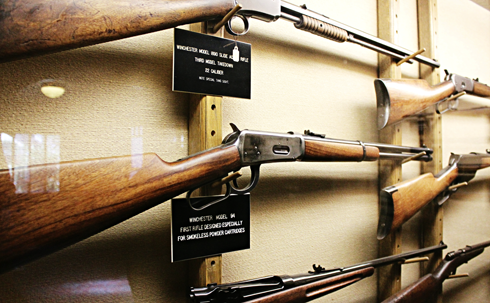 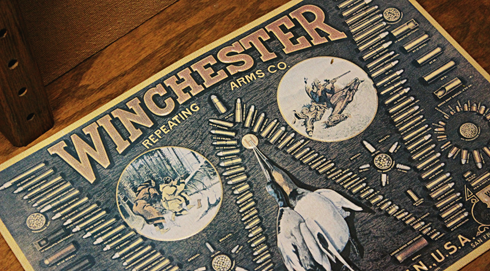 She believed that she was being haunted by the ghosts of those killed by Winchester rifles. 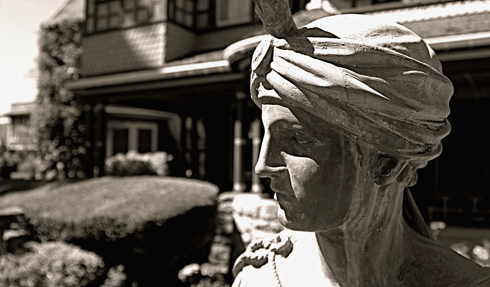 Whether true or not, she was rich enough to finance the endless expansion of her mansion, as she believed it would appease the spirits that followed her. 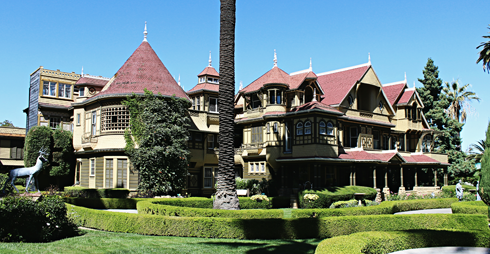 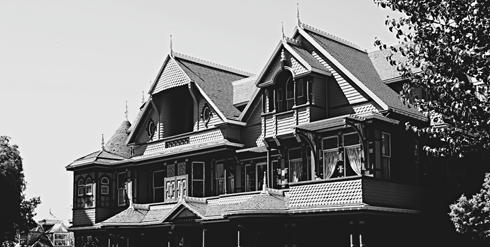 With construction spread over decades, the Winchester House is a maze of hallways, doors and stairs to nowhere, strangely placed interior windows, and numerous motifs using spiderwebs and the number 13, which Sarah Winchester believed warded off and confused the spirits. 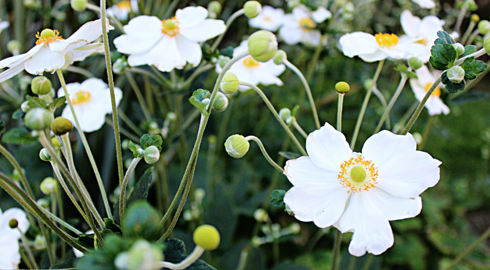 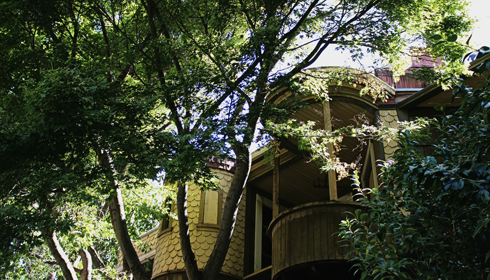 At around 160 rooms, the property is sprawling, but impressively beautiful. 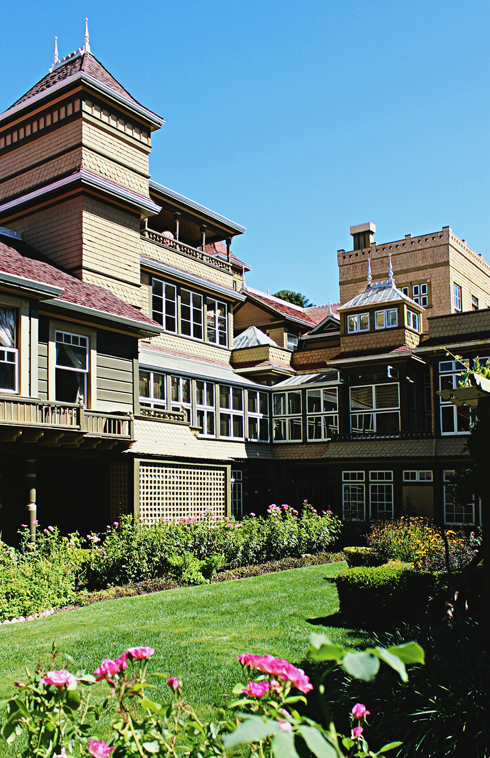 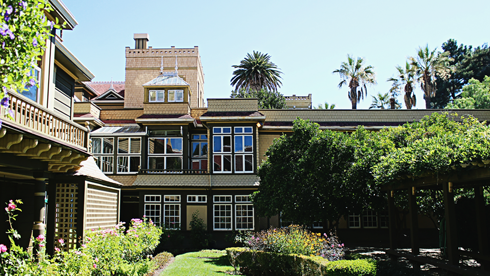 The Winchester House featured a number of lavish amenities for its time, including forced air heating, modern toilets and plumbing, push button gas lights, and one of the first indoor standing showers using hot water plumbing. 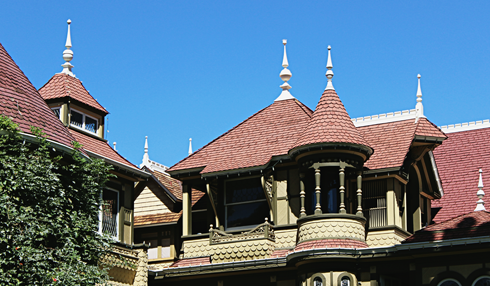 Sarah Winchester also didn't skimp on embellishments and ornamentation. 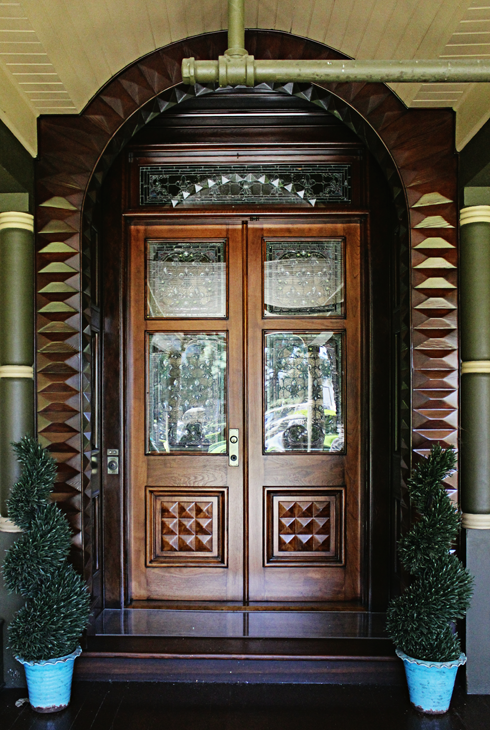 The house features gold and silver chandeliers, hand-inlaid parquet floors, 3 elevators, and a number of stained glass windows made by the Tiffany Company. 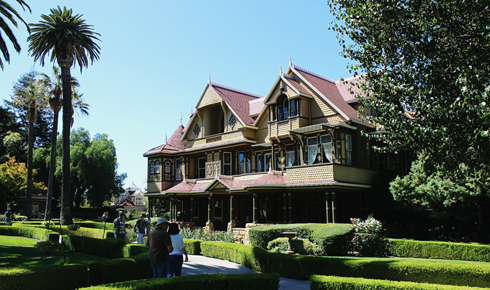 Sadly, photography of the interior was not permitted, but it was still fun to explore and tour the Winchester Mystery House. 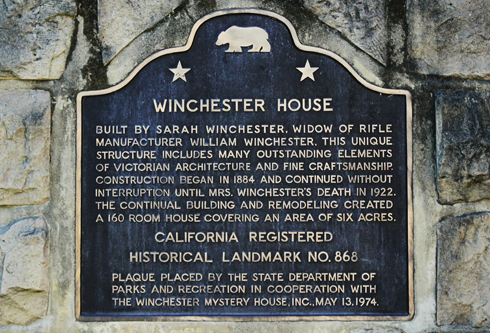 Not only is Sarah Winchester's story fascinating, but the fact that her elaborate and bizarre home was spared demolition and preserved is quite incredible. 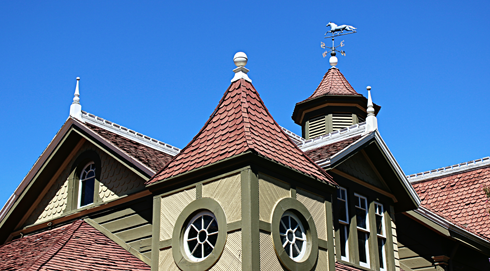 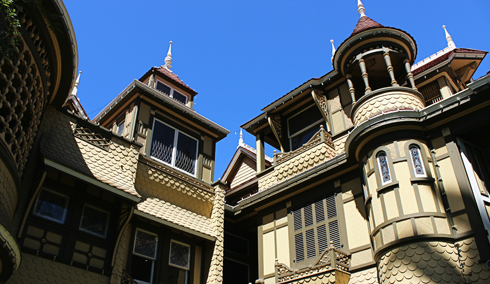 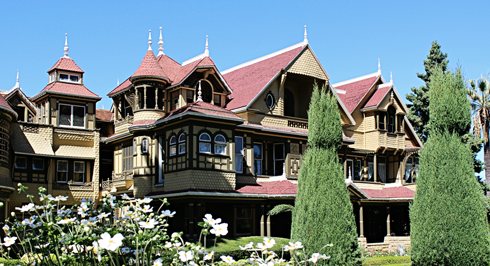 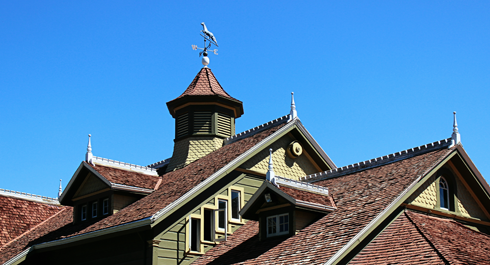 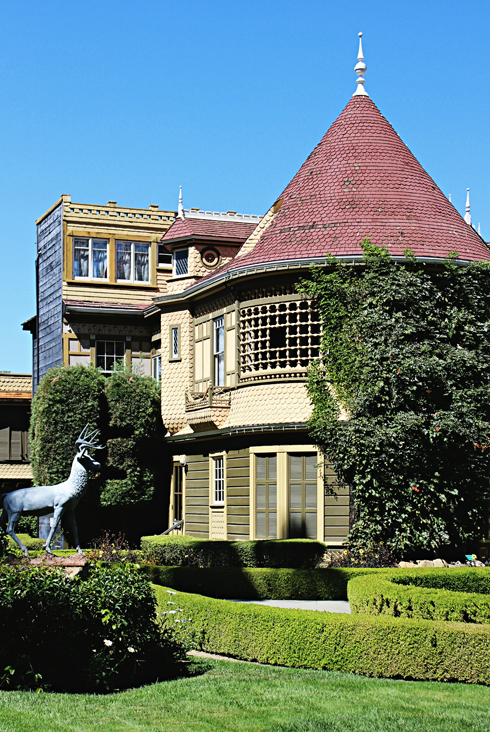 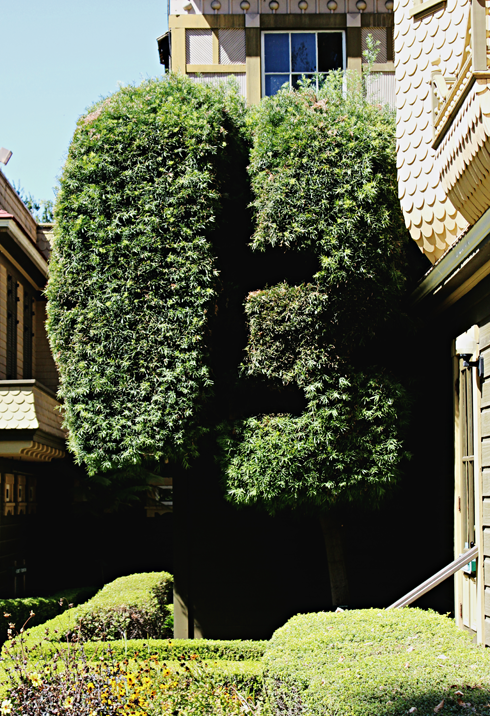 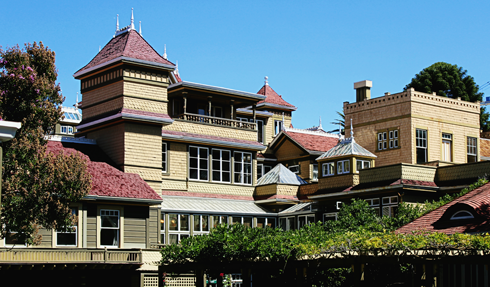 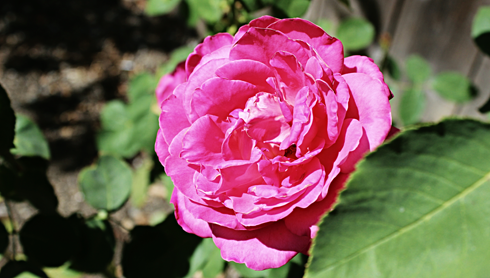 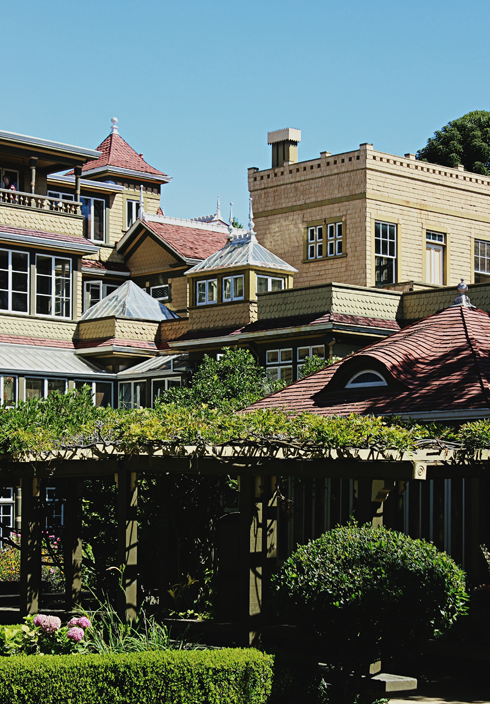 The Winchester Mystery House is an amazing place with a great story to back it up.